The short-lived, legendary Black Mountain College was a bold educational experiment and the epicenter of a mid-century explosion of creativity in American arts. It was a ground for cross-pollination between avant-gardists in every medium. On its campus, the collaborations of John Cage, Merce Cunningham, Robert Raushenberg, Charles Olson, David Tudor and others helped cultivate a new energy that would transform 20th-Century art. Black Mountain Songs, a new, collaborative choral song cycle curated by Bryce Dessner and Richard Reed Parry, certainly gives off waves of energy. But these composers, and the others they have brought onboard the project, pursue a far more lucid aesthetic than that of, say, a John Cage circa 1952. Dessner and Parry are both rock stars as well as composers – Dessner celebrated for his work as guitarist with the National, and Parry as a multi-instrumentalist in Arcade Fire – and it may be, in part, their firm grounding in the musical vernacular that keeps Black Mountain Songs so seemingly simple and direct. It may also be – again, in part – the forces they have written for this time around. The Brooklyn Youth Chorus, under Dianne Berkun Menaker, sings each of these numbers with the light, rounded sound of young voices, warmed with gentle vibrato and brightened by idiomatic American diction. But Parry and Dessner have also written far denser, less song-like scores, as have the half-dozen composers who have joined them for this project, including Tim Hecker, Nico Muhly and Caroline Shaw. And the Chorus is capable of singing with great subtlety and precision, as demonstrated in their easy mastery of some of the rhythmic challenges thrown their way here. More likely, the folkish clarity of the writing in Black Mountain Songs stems from a desire to make the piece as much fun to sing as possible. John King’s ars imitatur naturam and Aleksandra Vrebalov’s Bubbles aren’t so much simple as simply entertaining, and one suspects that the pleasure of singing these wild, energetic scores must extend to these young performers as surely as it does to the audience. Despite being comprised of pieces by eight different composers, Black Mountain Songs impresses as an exceptionally cohesive work; in fact, the song cycle feels so unified, one could imagine it the work of a single composer if one didn’t know better. Such an impression is easily accounted for: there’s the omnipresence of the Brooklyn Youth Chorus itself, of course, whose vocalizing establishes a through-line from the first song to the thirteenth; in addition, a chamber-sized group of musicians accompanies the chorus throughout; and finally, most of the texts sung by the chorus derive from the writings of Black Mountain College faculty or students, the illustrious names of which include John Cage, Merce Cunningham, Josef Albers, Robert Creeley, Buckminster Fuller, and Ruth Asawa. Though there are considerable differences between the songs, the material created for the project by Bryce Dessner, Richard Reed Parry, Caroline Shaw, Jherek Bischoff, John King, Nico Muhly, Aleksandra Vrebalov, and Tim Hecker (in collaboration with Dessner) feels of a piece; certainly the fact that Dessner and Parry (The National, Arcade Fire) had a hand in composing seven of the thirteen pieces adds considerably to the sense of unity achieved. The driving force behind the project was Dessner, who as a child attended a summer camp in the mountains of North Carolina, not far from where Black Mountain College was located, and thus conceived of Black Mountain Songs as a collaborative work that would pay homage to the school, which operated from 1933 until 1957, and its utopian spirit. 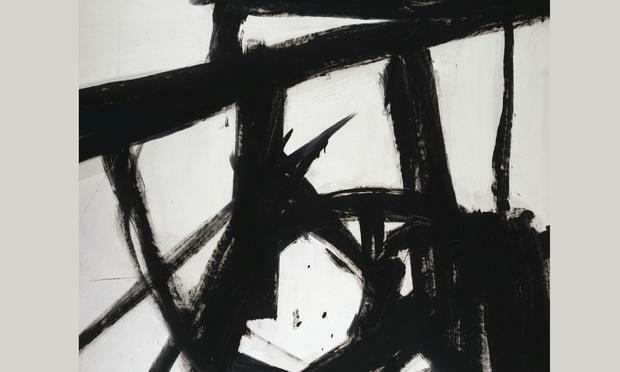 The names associated with it reads like a veritable honour roll of radical 20th-century artistic figures: alongside the aforementioned Cage, Fuller, Cunningham, and Albers, one can also add Willem de Kooning, Robert Rauschenberg, and Franz Kline (whose work adorns the album cover) to the list. In bringing together a large number of performers and composers in an ambitious, multi-dimensional work, Black Mountain Songs transplants the collaborative sensibility fostered by the college into a contemporary context. The form of the work lends itself naturally to a live presentation, and though the seventy-seven-minute version preserved on disc was recorded in the studio, the work did, in fact, premiere as an evening-length stage work at BAM’s 2014 Next Wave festival. The live presentation achieved an even greater multi-dimensionality in wedding the music and singing with readings, videos, and dancers. The recorded version, by comparison, feels intimate, even if a large number of individuals is involved. The instrumental group is itself modest in size, with the guitar and bass contributions of Reed and Parry accompanied by violin, viola, cello, piano, and percussion (Shaw one of the violists). As a result, a pleasing balance is struck between the vocal and instrumental elements, with the former supported by the latter without being dominated by it. Melody is strong in the work, as are contrasts of mood and style, with the material alternating between hushed, almost hymnal parts (Dessner’s opening “Black Mountain Song”) and others whose rhythms draw from classical minimalism for inspiration (Parry’s “there is a sound”). Haunting passages emphasizing the choir’s rich vocal textures (King’s “ars imitatur naturam,” with its stirring melismatics) sit comfortably alongside pieces rich in hummable melodies (Bischoff’s “Childhood’s Retreat,” Parry’s “Spaceship Earth”) and experimental vocal techniques (Vrebalov’s “Bubbles”). Although it closed 60 years ago, Black Mountain College keeps on giving. In its heyday, the liberal arts institution near Asheville, N.C., counted many of the mid-century’s great artistic thinkers, including John Cage, Willem de Kooning, Cy Twombly, Buckminster Fuller, Francine du Plessy Gray and Robert Rauschenberg, among its faculty and students. 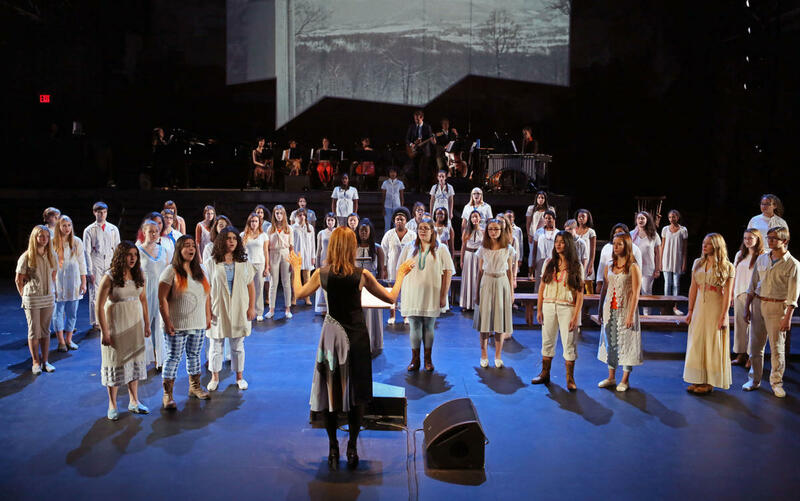 Today, the college’s collaborative, egalitarian ethos lives on in Black Mountain Songs, an evening-long stage work created by Bryce Dessner for the Brooklyn Youth Chorus, with texts by many Black Mountain alums. Dessner, as a kid, attended a summer camp not far from Black Mountain College. For this project, he pulled together seven other composers (including Caroline Shaw, Nico Muhly and Richard Reed Parry), plus theater directors, designers and choreographers, to debut the piece at the Brooklyn Academy of Music’s Next Wave Festival in 2014. Now, a recording of the song cycle is about to be released (March 31), and while it can’t deliver the same multimedia experience, it vividly captures the broad variety of songs in agile, energetic performances by a chorus of nearly 50 vocalists, mostly teenage girls.